Ransomware attacks have become the new standard in malware. The attack encrypts a victim's computer and important files until they pay a ransom, usually in Bitcoin. Without proper backups, they can devastate a computer system and network. Hackers hold the data or network credentials for ransom until payment is made and if the user does not cooperate, hackers will often destroy the data and move on to the next victim. Democratic state senators in Pennsylvania learned this the hard way on Friday. The politicians have been locked out of their computer network at the state Senate since early Friday morning according to statements made to NBC. The Democrats are "working with law enforcement agencies and Microsoft to resolve the problem." It's not clear what payment the hackers were looking for or the nature of the attack. The hackers haven't released any motive so it could just be a standard malware attack and not politically motivated. 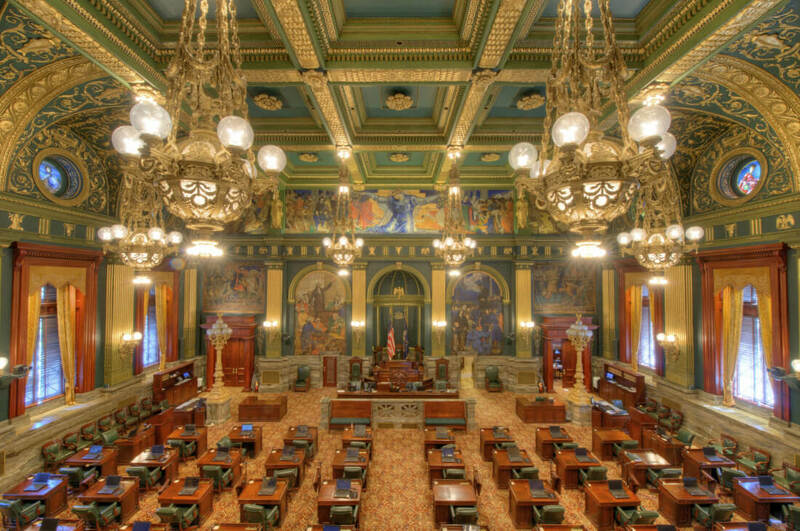 The state capital building in Harrisburg has separate networks, so it appears that just the Democratic senators were affected. The Republicans and other state agencies are unharmed. Democrats declined to describe any security measures they had in place like if the data had been backed up. Payment for these kind of attacks is typically in the tens of thousands of dollars range, but the sky's the limit if the hackers realize the size of the catch they brought in. Some antivirus programs have started to implement anti-ransomware modules to help protect against this and stop important files from being encrypted or overwritten. In most cases, the attack originates from a simple email message or phishing attack. It's a big threat to key systems, and even though government agencies are being more cautious about it now, hackers aren't backing down.